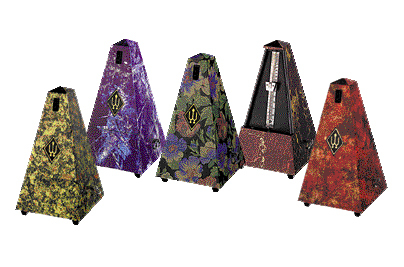 Wittner metronomes are manufactured in Germany to the highest of specifications, and are highly recommended by us. 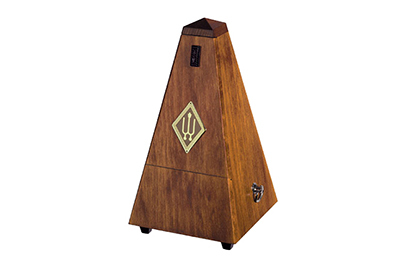 Clockwork metronome in simulated wood finish. Easy and accurate operation utilises the pendulum to regulate the speed. Clockwork metronome in a variety of designer finishes : blue/silver, floral, green marble, red marble, midnight meadow, and aubergine . 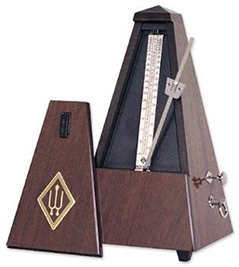 Clockwork metronome in a variety of solid wood finishes. 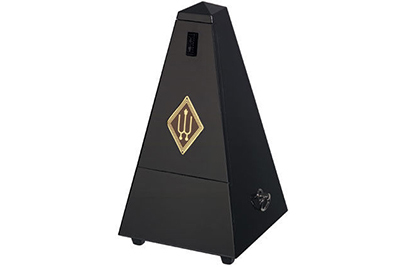 Clockwork metronome finished in satin black oak finish.